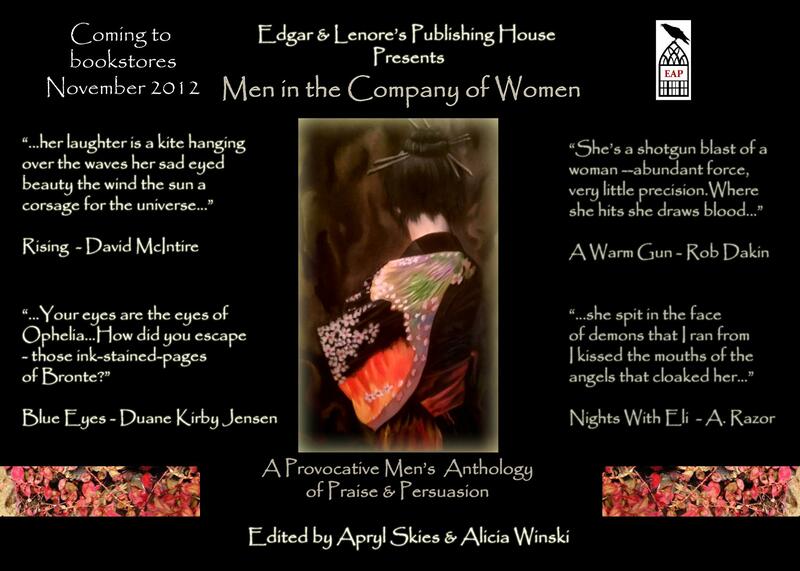 “A Provocative Men’s Anthology of Praise and Persuasion to be found in “Edgar & Lenore’s Publishing House Presents: Men in the Company of Women”. “Nod is Ney Princesses”, “Bow Chica Wow Wow”, and “Woman Is Not a Flower” will be included in a followup anthology In The Company of Woman both books curated/collected/edited by the fine minds of Apryl Skies & Alicia Winski look forward to your support, readership, and reviews. It is with extreme gratitude, humility, honor, & privilege to address this ageless subject in the fine company of passionate writers. Tell a Friend. Word of mouth is the wildfire that kindles sparkes ignites a heart to seek to outshine the sun. G-d Bless the women and girls in my life future past present. show me some love BUY any of my books at LULU.com VOXANON storefront.